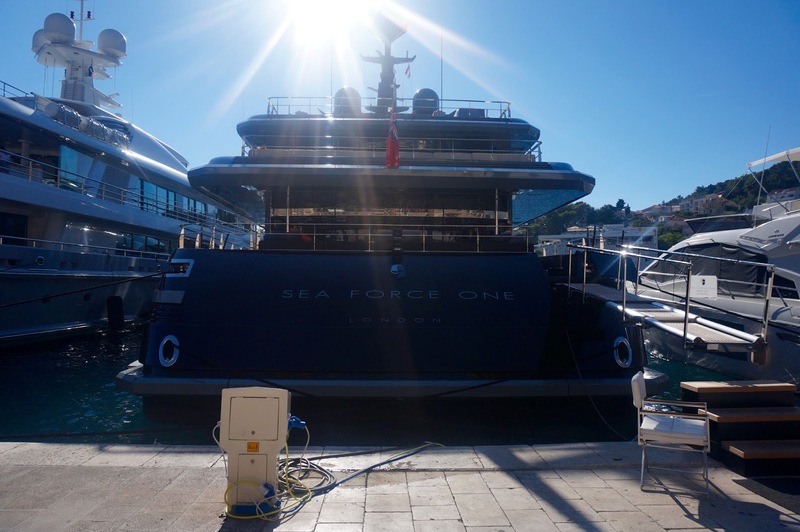 There's something very exciting and exotic about going to an island and Hvar, the Croatian Island on the Adriatic sea was no exception. 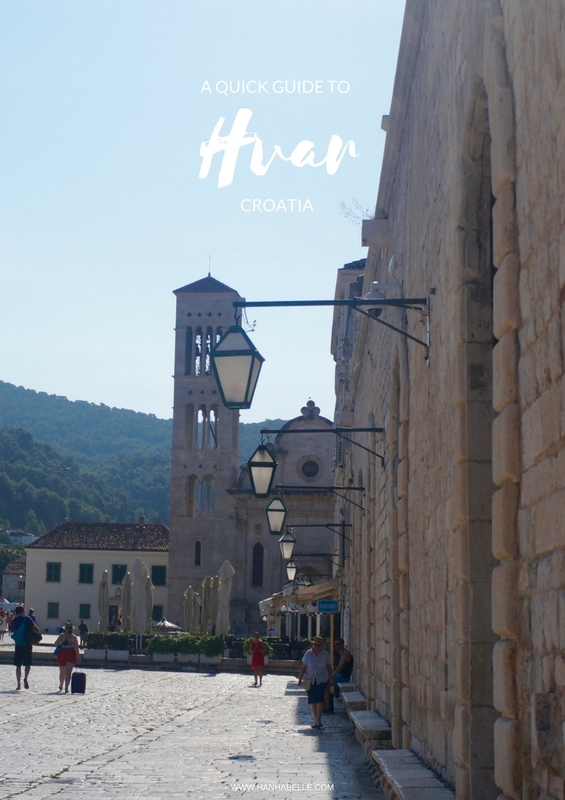 When my sister and planned our Croatia trip, we knew we had to squeeze in a day trip to Hvar, known for it's ancient walls, marble streets, glitz and glamour as well as endless hours of sunshine! Whilst Spilt is bustling, charming and historic. 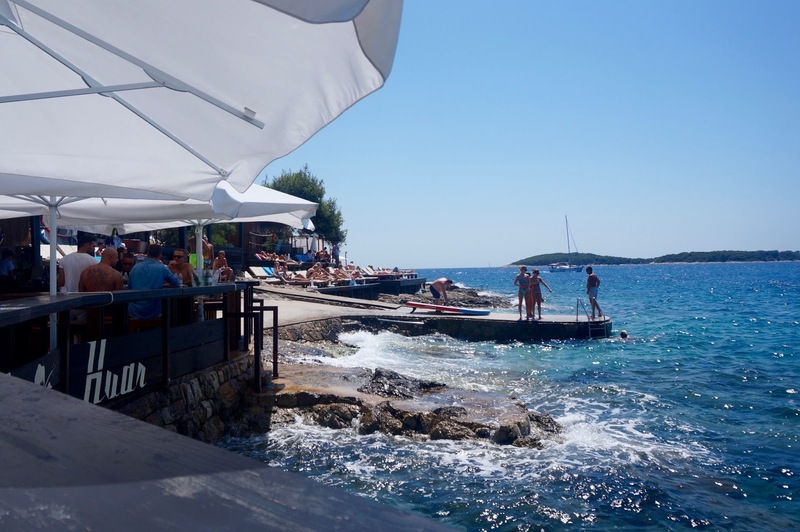 Hvar has a more up market Mediterranean feel, harbour lined with shiny yachts, beach clubs and chic restaurants. There was a mix of people from sun seekers, party goers to families, all there to soak up the glorious island life. I wanted to share with you guys a quick guide to this beautiful Croatian island, hope you guys enjoy! You can get to Hvar by boat from many of the big towns in Croatia. We got the Kroli Star Caterman from Split, which was 70 Kuna return and took just over an hour. There's plenty of room on the Caterman to bring your luggage and the journey was very comfortable. If you plan to bring a car, you can travel on the Jadrolinija Ferry, which takes around 1.45 hr. The Caterman left Split at 7.40am and we travelled back from Hvar at 7.30pm, which is plenty of time for a day trip. Of course there will be other schedules depending how long you're staying. When you arrive by Caterman you will dock into Hvar town and from there you can start exploring the Island! 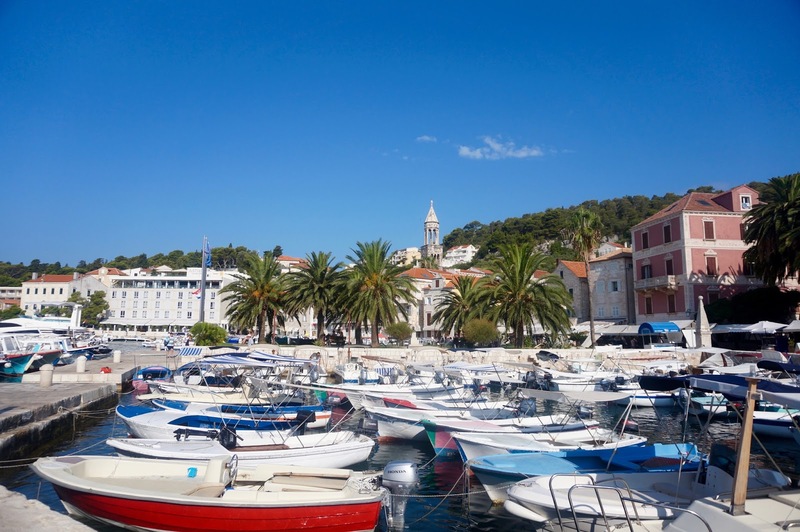 Depending on how long you're staying you can explore Hvar Town as well as the other towns on the island including Stari Grad and Jelsa. 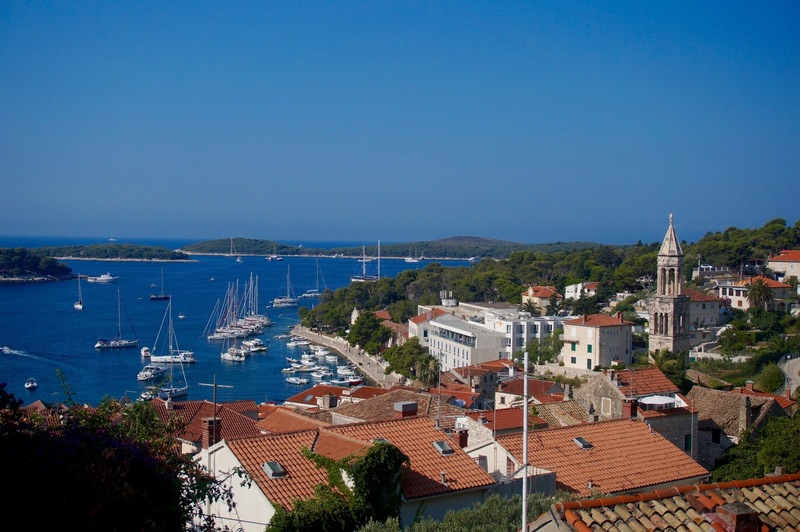 In Hvar town you can explore St Stephen's Cathedral, the clock town and main square. 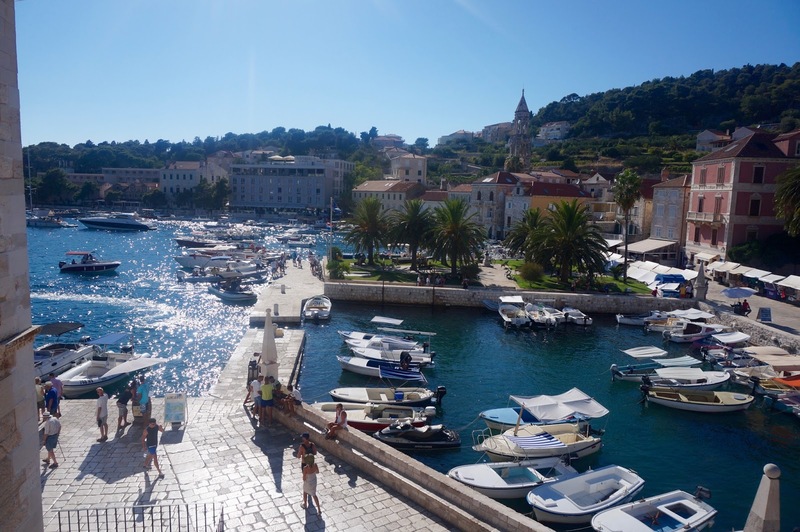 You can also walk up to see Hvar Fortress to take in the views. There's lots of little streets to amble through and take in the sights, eat gelato and people watch from the sea front. 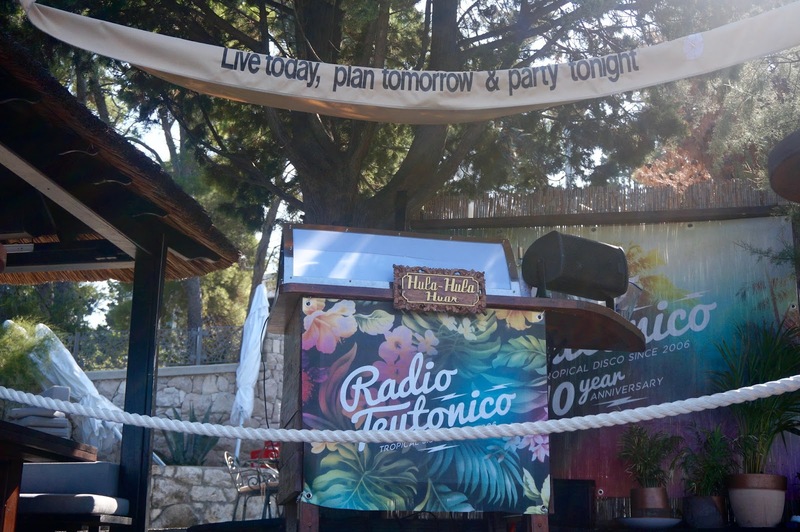 A lot of people come to soak up the sun and sunbathe in Hvar as well as party into the night! My sister and I headed straight to Hulu Hula Hvar, which was about 20 minutes walk from the harbour. There's plenty of sun beds, a bar and restaurant. There's no sand and the beds are right on the rocks, it was super hot so it was nice to have the waves crashing in! We also had lunch at Hula Hula, which was tasty, staff were friendly, there's music, wifi and sea views, what more could we want :) It's a shame we didn't stay over to party and watch the sun set, as it would have been so much fun. The crowd at this beach club is young, party goers, not too pretentious - I was thoroughly entertained whist sunbathing as a group of lads from Liverpool (UK) were having a great old time chatting up these girls from New York and doing shots at lunchtime! When the girls had to dash to catch their boats, the boys moved onto some Aussie babes ;) So you imagine this place get very lively after hours! Another popular beach club is Bonj 'Les Bains'. There's also Carpe Diem, a bar right by the harbour and hosts the famous full moon party. You can party all night long and get the taxi boat back - just make sure you check when the last one is!